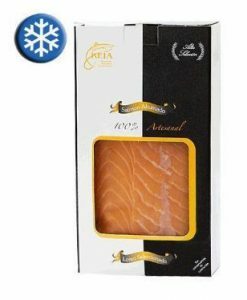 Anchovies in salt 50 fillets Extra Giant 00 Ría de Santoña are the biggest size anchovies sustainably caught in Bay of Biscay. 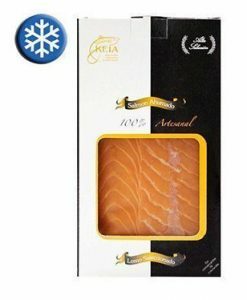 The elaboration of this Spanish anchovies is artisan and all the production process is made by hand. 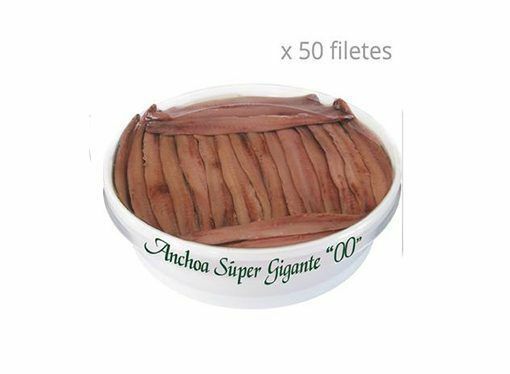 The anchovy fillets Extra Giant 00 Ría de Santoña have an excellent size; they are perfectly cleaned, without bones and seasoned with a bit of olive oil. Fishing made during spring, season where anchovies have a good fat balance. 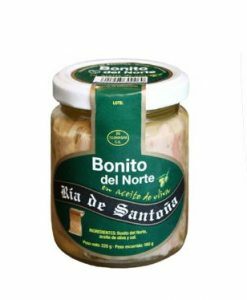 These anchovies are fished in the Bay of Biscay and handmade in the Cantabrian locality of Santona. Buy this product to earn 49 Points for future purchases. 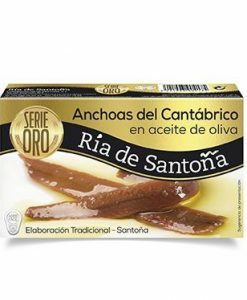 Cantabrian anchovies, olive oil and salt.